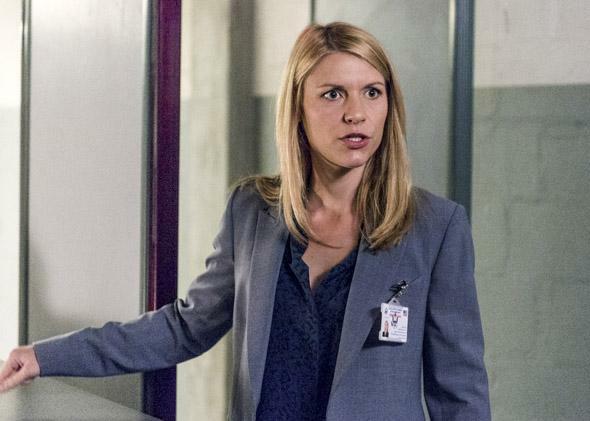 Homeland Season 4 review: Showtime series premiering Sunday is good again. Carrie Mathison (Claire Danes) has always been a complex, troubled character. If watching a television show is like being in a relationship, Homeland has done everything it can to make you regret dating it. The show, which begins its fourth season on Sunday night, seemed, initially, like a true catch. The first season introduced audiences to CIA agent Carrie Mathison, brilliant, intense, indefatigable, bipolar, and played with extraordinary nuance and exemplary cry-face by Claire Danes. Carrie, and only Carrie, became convinced that Marine Sergeant Nicholas Brody (Damien Lewis), a war hero recently returned from a long period of brutal captivity, was, in fact, a terrorist. That first season, which climaxed with Brody in a suicide vest, had everything: a thrilling plot, outstanding performances, complex characters, forbidden love, and, most of all, ideas in its head, about, among other things, the surveillance state, torture, and the virtues of diplomacy over force. It was simultaneously an advancement upon and a rejoinder to all the great—and not so-great—antihero dramas, a thriller with a conflicted, ethically challenged antihero playing second fiddle to a complicated, prickly, frankly heroic female lead, in a series that dramatized the way violence begets more violence and trauma more trauma. And then Homeland lost its mind. For the first half of the sophomore season, as Carrie and the CIA broke and finally turned Brody, the show seemed as strong and psychologically astute as ever. But by season’s end, Brody had killed the vice president of the United States by hacking his pacemaker in order to rescue a kidnapped Carrie from a speechifying master terrorist. Homeland, the erstwhile catch, revealed itself to be overwrought, implausible, ridiculous. It became so obsessed with what it thought was most interesting about itself—Carrie and Brody’s love story—that it took leave of its sanity, and its quality. Season 2 limped into Season 3, with Brody, the world’s most wanted terrorist, on the run, and Carrie and her mentor Saul Berenson (Mandy Patinkin) conspiring to get her locked in the loony bin for reasons too complicated to briefly summarize. That far-fetched plot was shortly outdone: Brody, secretly a U.S. agent now, went to Iran to ease diplomatic relations between the countries by killing the head of the Revolutionary Guard. He succeeded, but was publically executed anyway, while Carrie watched, pregnant with his child. At this point, Homeland was not just a bad show, it was a show that had burned its audience. It wasn’t just mediocre, it was a disappointment. Why, after all that transpired, would you let such a series back into your life? Season 4 of Homeland appears to be genuinely engaged with this question. It seems humbled, implicitly apologetic about the mistakes that came before. The result is a series shorn of many of its complications, some of its over-reaching, and much of its implausibility. It is still psychologically astute, but it has become a much more straightforward, and largely effective, spy show. If you do not want to let Homeland back into your heart, that’s understandable. But maybe let it crash on your couch for a probationary period. The new season begins a few months after the finale left off. Carrie is the station chief in Kabul, where she is overseeing an operation hunting down highly wanted targets. She has just learned the whereabouts of one such target from Sandy (Corey Stoll), the station chief in Islamabad and, of late, a fount of good intel regarding the location of high-level terrorists in Pakistan’s border region. With very little time to vet the information, Carrie OKs a bombing run. The terrorist is killed—but so are many dozens of civilian members of his family gathered for a wedding. In short order, the bombing blows back on the CIA and the State Department. A young medical student who survived the bombing, and may be more than what he seems, has video of the wedding festivities—children dancing, women laughing—right before they were all killed. The video goes viral. Sandy’s source goes missing and blows his cover, raising questions about whether Sandy was being played. And CIA Chief Lockhart (Tracy Letts) wants Carrie back in D.C. to cover for him, just as she is beginning to smell a conspiracy. Carrie wants to stay in theater for reasons beyond just her duty, though. Since the end of last season, Carrie has given birth to a daughter, who is being cared for by her sister in D.C. As swiftly and fleetly as Homeland assembles its central spy narrative—an international crisis kicked off by the United States murdering scores of innocent people and one terrorist, a crisis that may be even more complicated than it seems—it also goes about re-establishing Carrie’s supremely troubled psychology. This time around, Carrie’s workaholism isn’t just a symptom of her obsession with national security. It’s an excuse to put at least an ocean between her and her daughter, not merely out of selfishness or a desire for freedom, but out of panic and also fear that she will harm her daughter. As tense as some of the action sequences in the new season are—Carrie evading a tail, an agent desperately trying to avoid a bloodthirsty mob—there is no scene quite as chilling as that of Carrie giving her baby a bath. Homeland shows some real gumption—and continuity—in its portrayal of Carrie and her complete lack of maternal instinct. Carrie has always been a complex, troubled character. Her failings were part of her genius. She could see things other people could not, and this made her invaluable and impressive, even as it made her unstable and egomaniacal. But Carrie never wanted to be a mother. She worried that, given her illness, she would make an unfit one. At the end of last season, she wanted to give the baby up for adoption, convinced and terrified that she wouldn’t be able to care for her child properly. Her sister, playing the optimist, told Carrie she “would be surprised how much love you feel” once the baby arrived. But the baby is here and Carrie is still terrified, still uncomfortable, still unable to connect. It seems like every minute these days TV shows are finding new ways to make female characters hard to like, but even so the truly unfit mother has remained fairly verboten for a protagonist. Yet that’s what Carrie is, and the only silver lining is that she knows it. Carrie’s heart, in general, seems harder than it once was (which is maybe what happens when you watch the love of your life hang to death). Her old colleague Peter Quinn (Rupert Friend) is in Islamabad at the time of the bombing and takes on the role of the show’s conscience, as Carrie’s own sense of right and wrong begins to be subsumed by the CIA party-line. Quinn questions the bombing, he questions the CIA, and he questions his role in it, even as Carrie is too fixated on avoiding her civilian life to question anything. Quinn has become the show’s second lead, taking Brody’s place, which would be all well and good if Homeland didn’t keep insisting that Peter, like Brody, was in love with Carrie. This is the one storyline of the new season—give or take, perhaps, a faked death—that gives me pause. Romance ruined Homeland once before. The show kept Brody alive for far too long because it felt his and Carrie’s connection was the essence of the series. Brody’s gone now, the show is surviving, if not quite thriving, and yet the writers seem desperate to reintroduce a love story anyway. You may regret letting Homeland sleep on your couch just yet.